Whether you're a Taurus or you just seem to click well with them in all types of relationships, you may be interested in Taurus zodiac symbol tattoos. If you're a Taurus who loves astrology or who isn't particularly into astrology but feel that you fit the Taurus mold, you may want to make a simple design your first tattoo or even add the symbol to an existing tattoo. They're typically easy to love and love others in return. Is it any wonder that a Taurus people who are into astrology would want to have evidence of their nature tattooed on their body? While Taurus is a positive sign, there are negatives to the typical Taurus demeanor including jealousy, possessiveness and greed. Each sign has its pros and cons, of course. The basic symbol shapes can be set on a multitude of backgrounds with extravagant scrolls, realistic bull heads, celestial images, leaves, flowers and words. The simplistic design lends itself to almost anything else you may want to add to the total image. There are ways to incorporate color as well, so it doesn't have to be a plain black design. The sign of Taurus lasts from April 21 to May 20. If you're having a hard time visualizing your perfect Taurus symbol tattoo, you can turn to a few sites for inspiration. You can even purchase designs from some of them. Tattoo Johnny has bull-inspired Taurus tattoo designs for sale. Some are simplistic in style, and others are more detailed. There are even backpieces to enjoy. Vanishing Tattoo has quite a few designs as well, some in black and white only and others with shots of color involved. Some have a tribal feel to them while others are intricate and somewhat realistic despite the use of vibrant colors. Free Tattoo Designs has an interesting take on the traditional symbol. 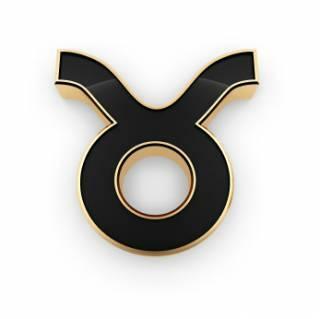 It is the Taurus symbol of a circle with a half circle perched on top (lying on its back), inside of another full circle and filled with smaller circles of various sizes. Some are filled in while others are not. The design is shown in black and white but it would be beautiful with color added, perhaps a light pink which is the traditional Taurus color. Taurus zodiac symbol tattoos can make beautiful additions to current tattoos or be the ideal foray into the world of ink. They are an easy way to say a lot about yourself without an intricate sleeve, for example. If you feel that you are a true Taurean, a Taurus symbol tattoo could be the perfect way to sum yourself up without taking up a large area of skin.